Since its founding by cellist Yo-Yo Ma, the Silkroad Ensemble has been redefining classical music for 21st-century audiences. Celebratings its 20th anniversary this season, the group has been called “vibrant and virtuosic” by the Wall Street Journal, “one of the 21st century’s great ensembles” by the Vancouver Sun, and a “roving musical laboratory without walls” by the Boston Globe. 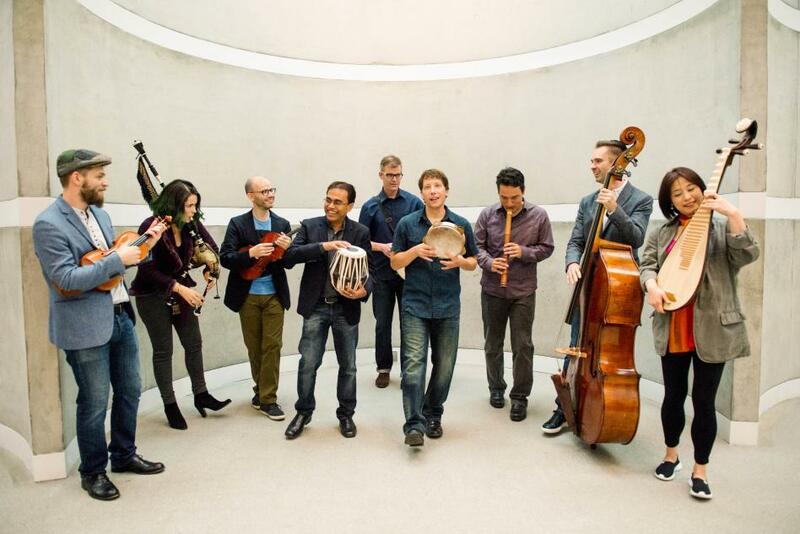 In engaging, high-energy performances, the Silkroad Ensemble draws on a rich tapestry of traditions that make up our shared cultural heritage, creating a new musical language—a uniquely engaging and accessible encounter between the foreign and the familiar that reflects our many-layered contemporary identities. Representing a global array of cultures, Silkroad Ensemble performers and composers hail from more than 20 countries. Passionate about learning from one another’s traditions, these rooted explorers perform on instruments ranging from world percussion to Western strings to the Chinese pipa (lute) and sheng (mouth organ), the Japanese shakuhachi (bamboo flute), the Galician gaita (bagpipe), Indian tabla (paired drums), and Persian kamancheh (spike fiddle), among others.